ISO9001 Accredited 2013. 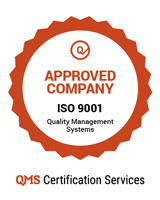 We have established a rigorous quality management system and as a result, in 2013 were given ISO9001 accreditation. In addition to this we have a detailed WHSE system based on industry and best practice requirements. For more information about our Health, Safety and WHSE Practices! 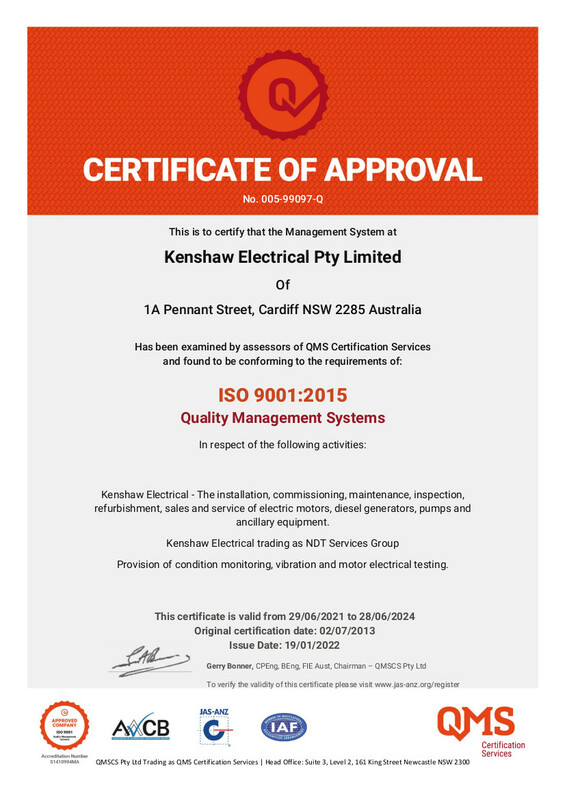 Kenshaw is committed to quality management and safety to ensure the well being, health and safety of our personnel and valued clients. We also believe that impeccable safety is a good indicator of the quality of a business as well as the attitude of its staff. As such, Work, Health, Safety and Environment (WHSE) practices are always considered in our decision-making process, business practices and daily activities. To achieve this aim, we have established a rigorous quality management system and as a result, in 2013 were given ISO9001 accreditation. In addition to this we have a detailed WHSE system based on industry and best practice requirements. Kenshaw's management is accountable for the implementation and review of this policy and its commitments. We make safety a core condition of employment and unsafe behaviours are not tolerated. These values are core to Kenshaw; they are not negotiable and underpin our daily work life. Everyone at Kenshaw Electrical is committed to adhering to these values for not only themselves and colleagues, but also to any other sub-contractor we may use or anyone that comes onto one of our worksites. Never attend work under the influence of drugs, alcohol or fatigue. I will never place myself or others under a suspended load. I will not work on live electrical circuits unless authorised and trained. I will always isolate and verify wherever the chance of energy release is possible. I will not work above 1.8m without fall arrest equipment. I will find a solution that prevents injury. I will always obey all road and site specific rules when operating motor vehicles, plant and equipment. I will assess the risks and hazards before starting any job to ensure adequate controls are put in place to prevent injury and /or negative impacts to the environment. I will report any safety and / or environmental incident via the correct channels and ensure that it is followed through to completion. 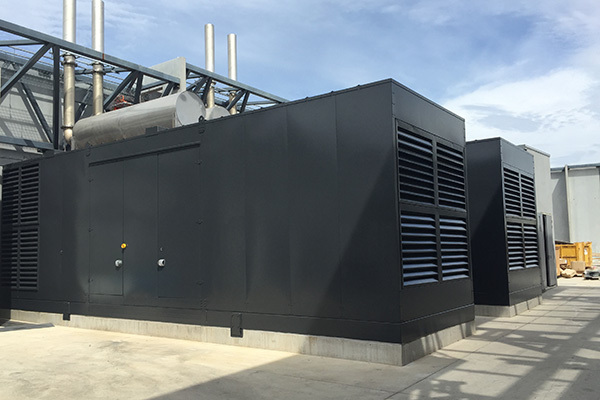 Generator systems design, turn-key sales, installation and all aspects of servicing including emergency breakdown, for prime power and stand-by power needs to regulated Australian Standards. 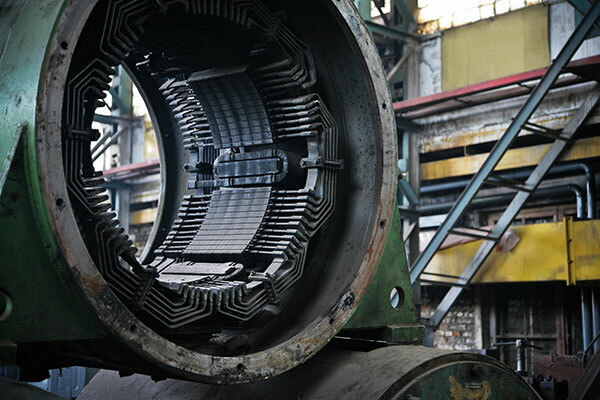 Comprehensive electric motor turn-key sales, installation and services, stocking a wide range of electric motors starting from 0.18kw up to and including 150kW. 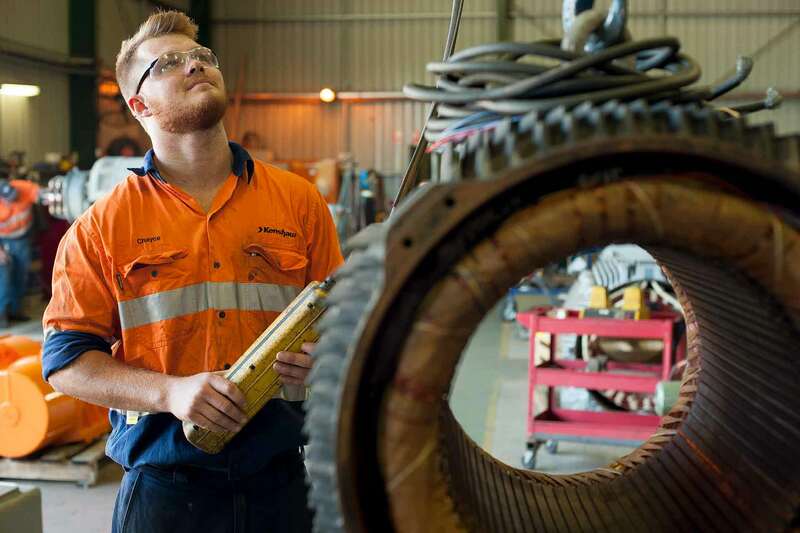 Highly skilled & experienced in critical asset management, emergency breakdown & workshop repair, with over 22 years providing quality focused service. 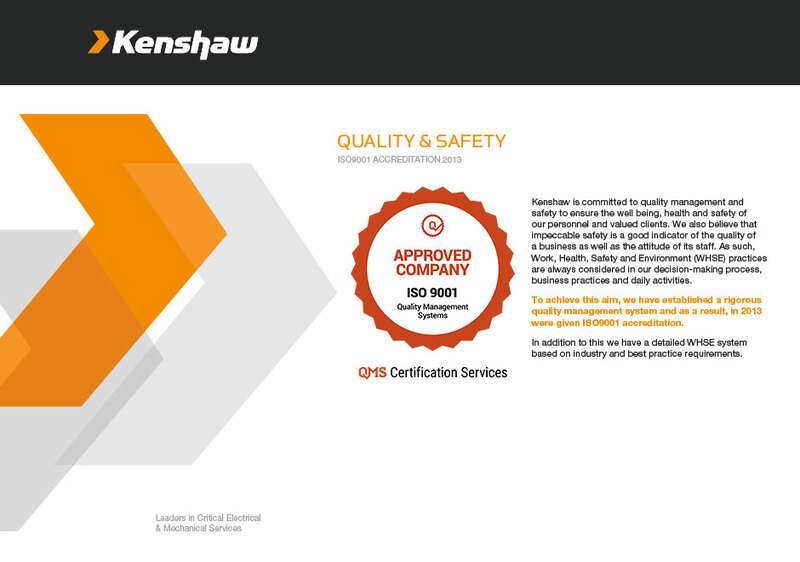 Like to know more about our business critical services and how Kenshaw can help you?